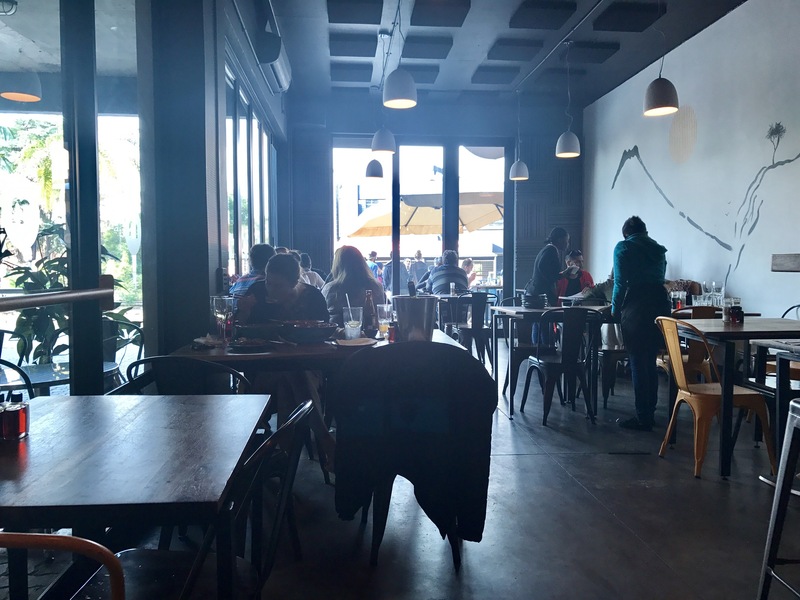 Pizza Luna has been at Rivonia Village for a while, but I’ve only recently started exploring Joburg, and only heard about their Banting (or low carb) pizza bases this week. I excitedly started looking for victims to take with me, and as luck would have it, Lee (or the boyfriend) was going to be at RAGE on Friday. So I convinced him to come have lunch with me in Rivonia before heading off to the Gaming Expo. 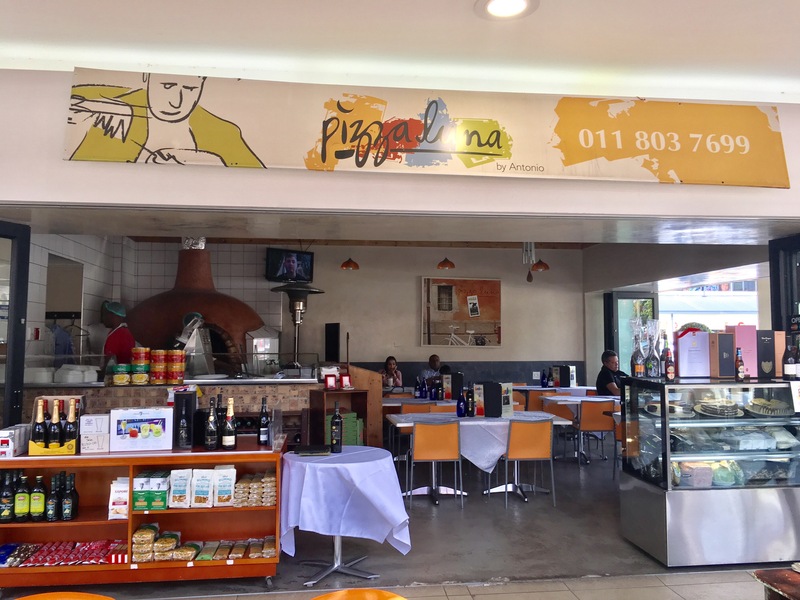 Pizza Luna is located in a corner in Rivonia Village. But it’s the perfect place for it. Sitting under the trees makes you feel like you’re in a laid back area, making the experience even better. As soon as Lee and I walked in, a friendly waiter asked if we’re joining them for lunch and allowed us to grab any table we wanted. 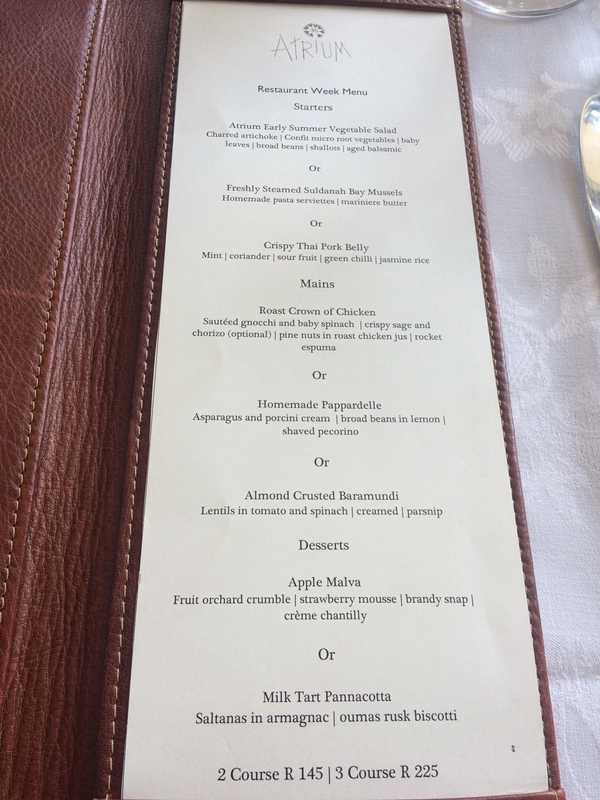 A menu then followed promptly. 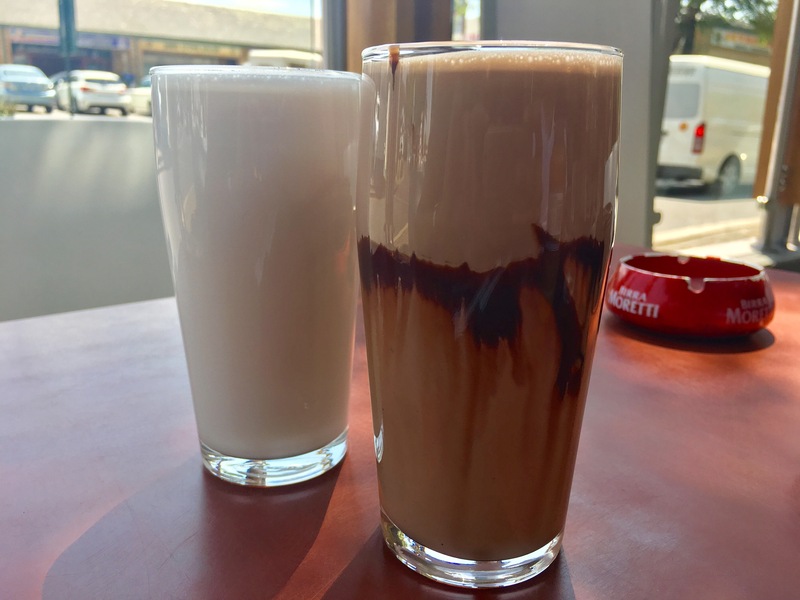 To drink, we ordered 2 milkshakes: bubblegum and chocolate. Very un-Banting but the milkshakes were delicious. The bubblegum was white is colour so I thought they had got my order wrong (I only order the bubblegum milkshake for the blue colour 🙈). The milkshake was definitely bubblegum and it was delicious and not too sweet. The chocolate milkshake was also yummy and rich. 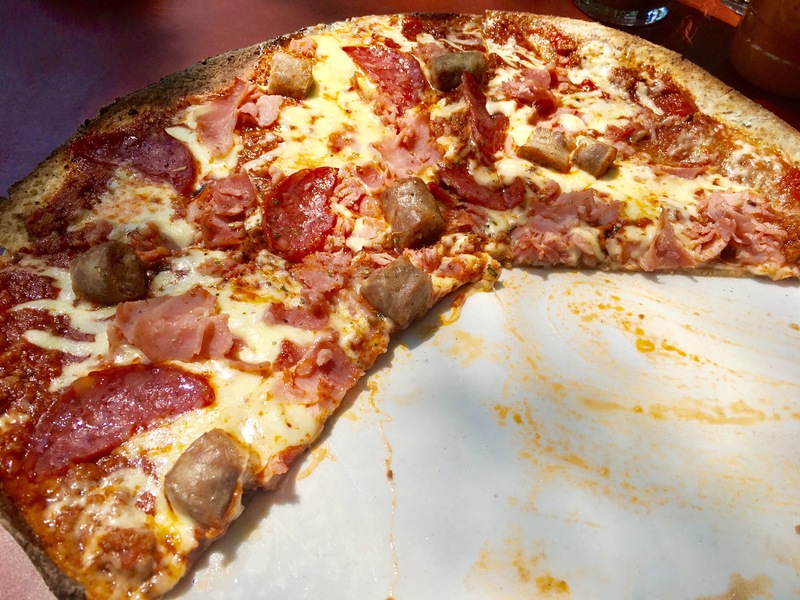 To eat, we ordered the Carnivora pizza that was packed with meat: salami, ham and beef sausage. The pizza sauce was bolognaise. And we added a Banting pizza base for R24 extra. The pizza looked delicious, so I forgot to take a photo of the whole pizza. The pizza was delicious! The Banting pizza base was thin and the crust crunchy. It was the best Banting pizza I’ve ever eaten. 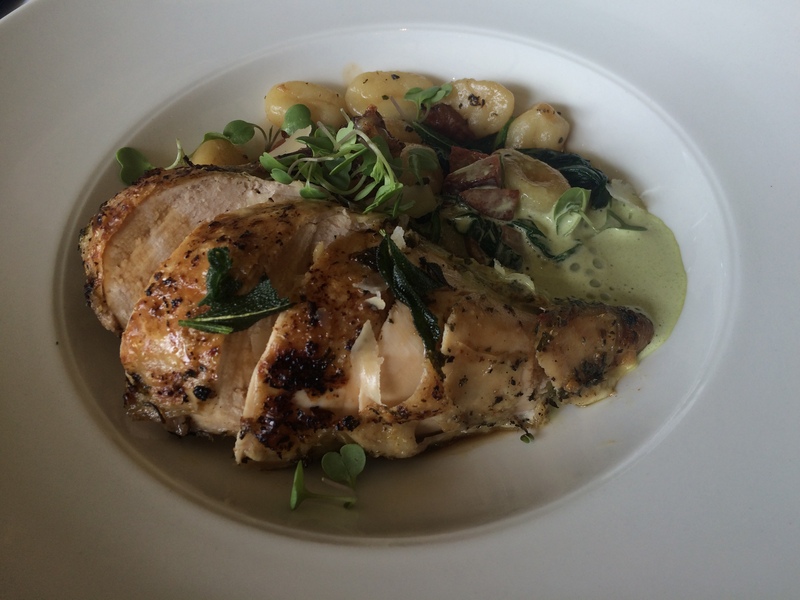 The different meat complemented each other well and the sauce was delicious. We were also served fresh green chilies, which added some heat to the pizza. We had a great time at Pizza Luna. 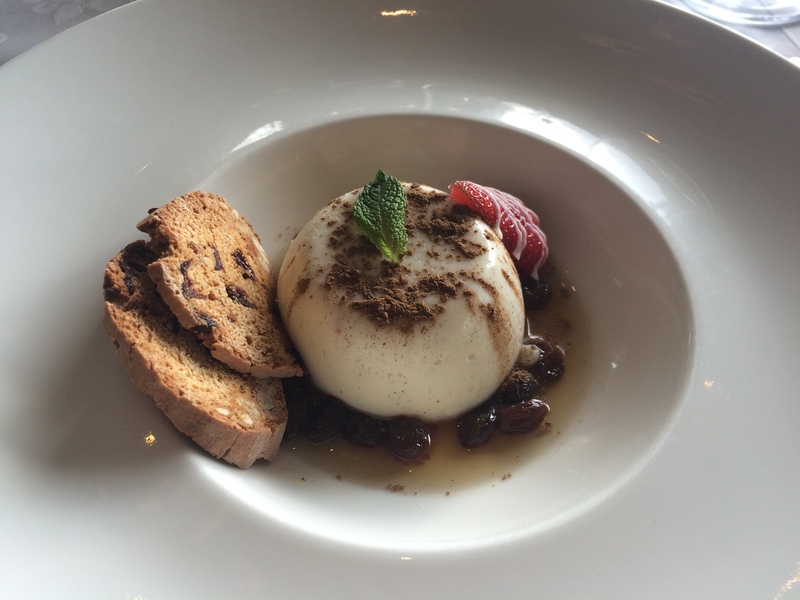 The service was great, as our waiter checked on us often and so did the owner. I would definitely be back for the Banting pizza. It’s a good thing Pizza Luna is less than 5 minutes from work 😊. 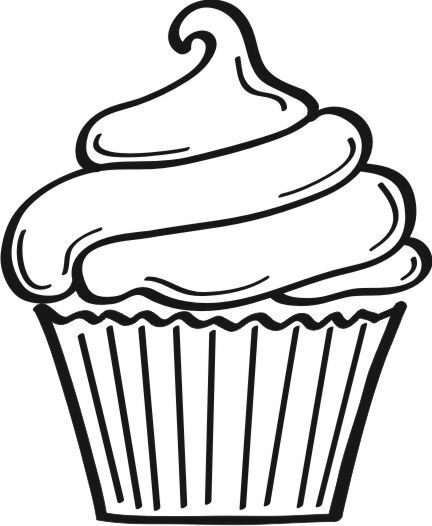 I give Pizza Luna 3 cupcakes. 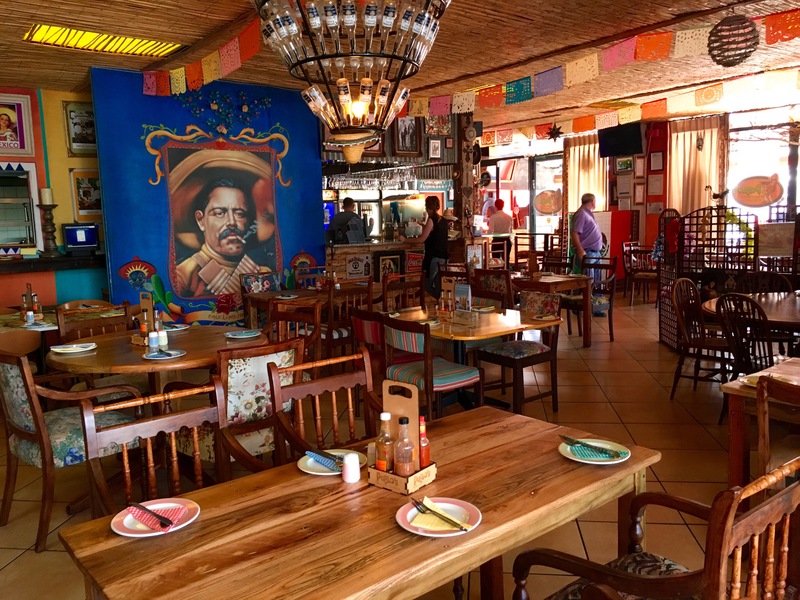 I haven’t had much time to explore Joburg, so when the opportunity to eat at a Mexican restaurant arose, I jumped at it. I love Mexican cuisine. So much so that even my food blog is named after Tacos. 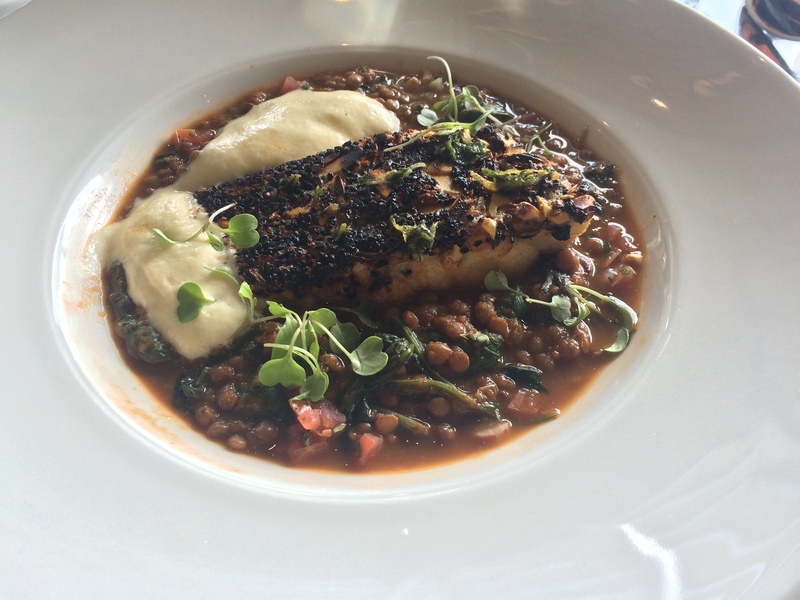 I enjoy the complexity of the flavours and the pop of spiciness that always seems to surprise me. 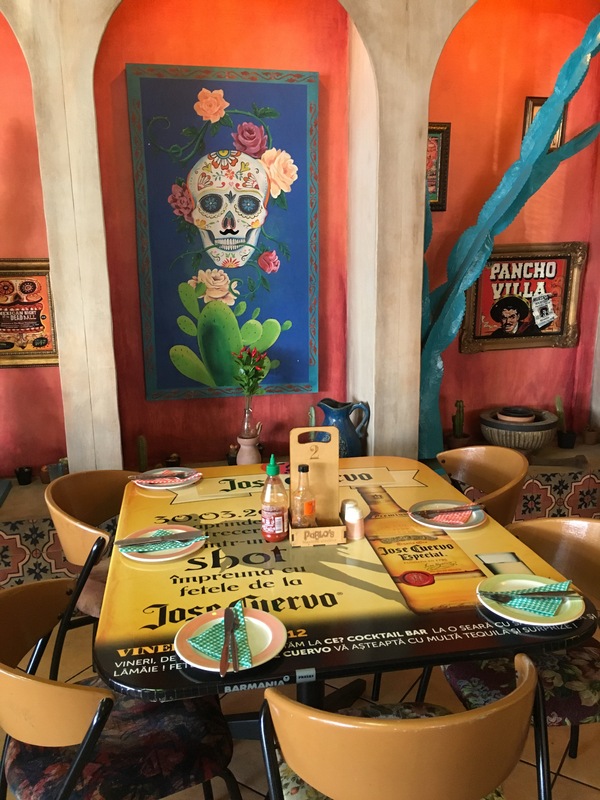 The inside of Pablo’s Mexican Cantina. 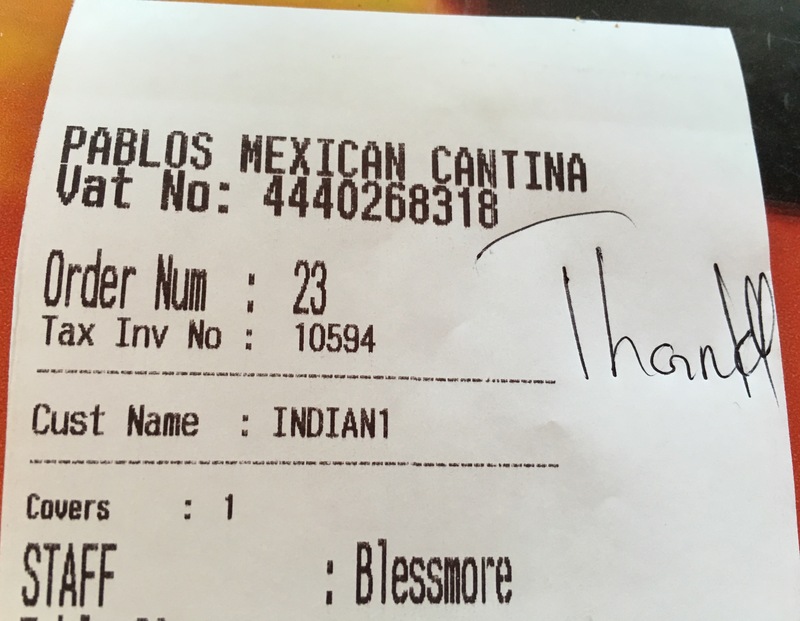 So this past Saturday I visited Pablo’s Mexican Cantina in Benoni. A far drive from Pretoria. As we were part of a Super car run, we were offered drinks upon arrival: a Corona or a Margarita. For me it was a tough call, but I went with the Margarita. I’m glad I did. 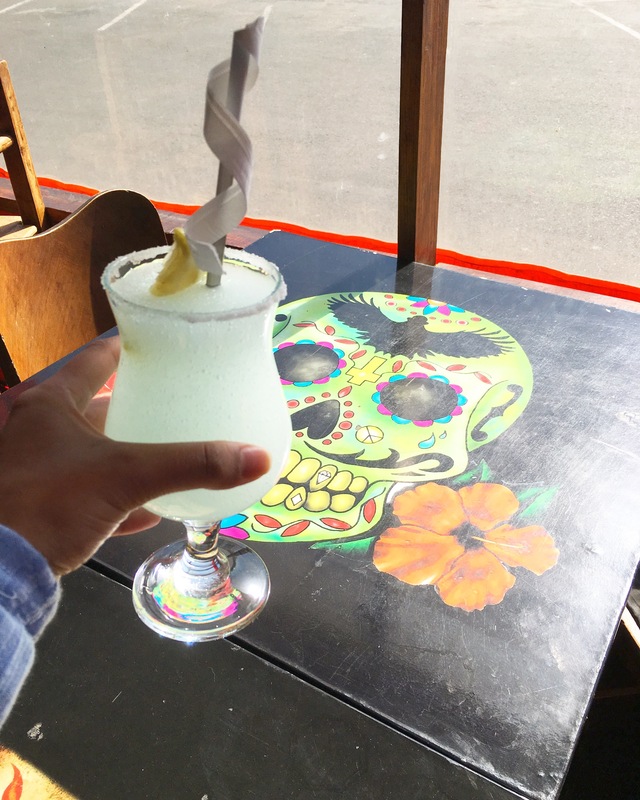 The Margarita was refreshing due to the lemon and lime. Most importantly, the drink was not overpowered with triple sec and tequila. In fact I think a bit more alcohol would’ve been great. We were then served tortilla chips with salsa and guacamole. I found the guacamole a bit bland and thought a bit more salt and lime would’ve livened up the avocado. But the salsa was fantastic! 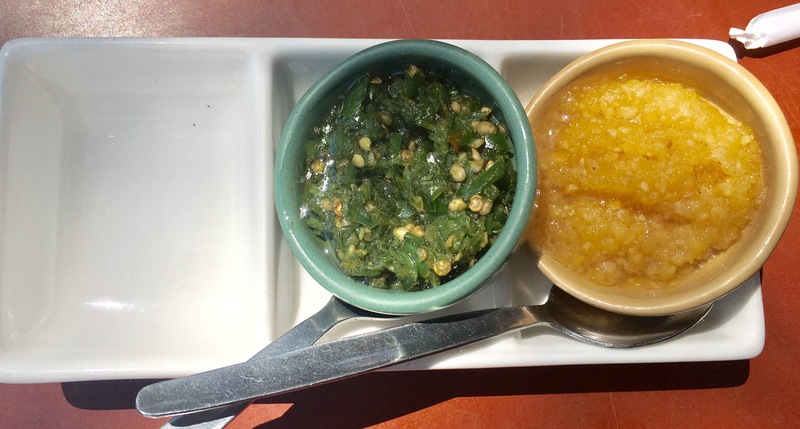 It had the right amount of spiciness to make your taste buds jump, thanks to the green chilies. The ingredients were definitely fresh and allowed the combination of the tomatoes, onion, garlic, chili and coriander pop in your mouth. 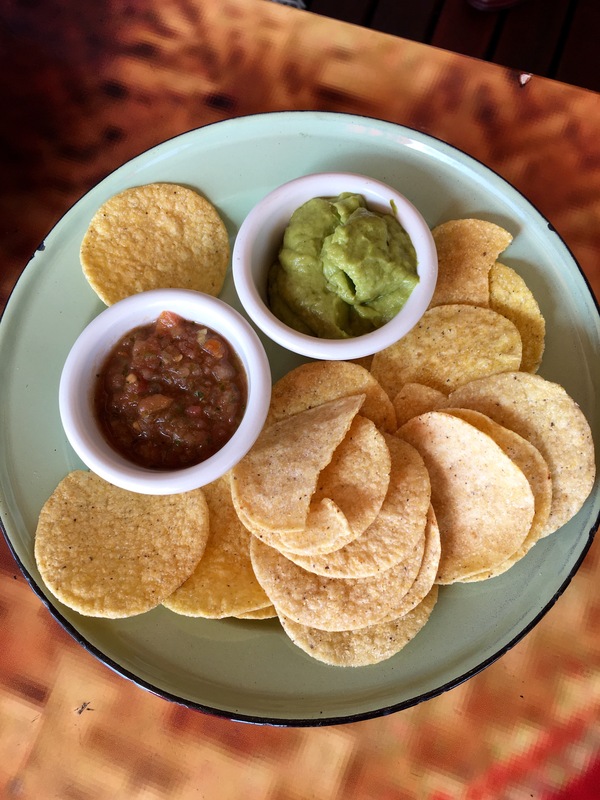 Tortilla chips, salsa and guacamole. Once I stuffed my mouth full of the tortilla chips, it was time to order. For appetizers we had a beef and cheese chimichanga, Deadpool would be proud, and chili poppers. The chimichanga was delicious. 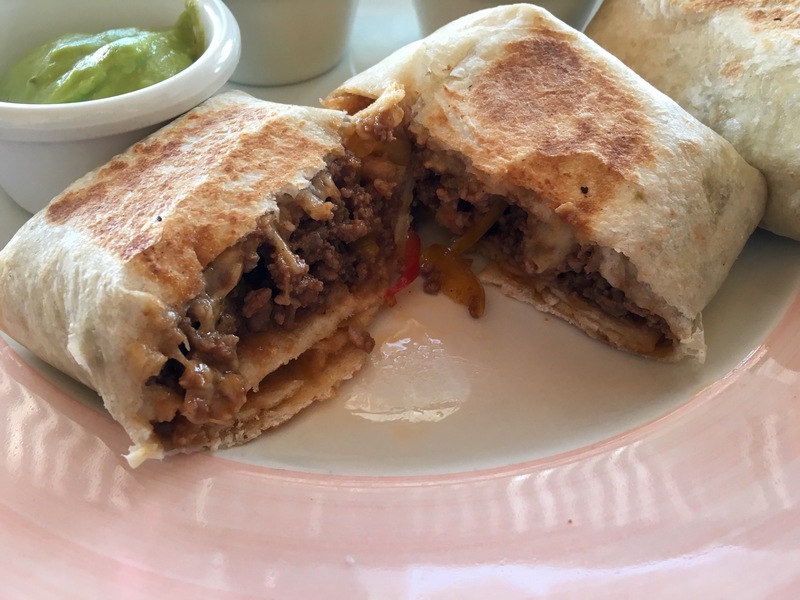 The beef was tender and the deep-fried flour tortilla was crunchy. Given that we ordered the chimichanga with cheese, I wished there was more of it. 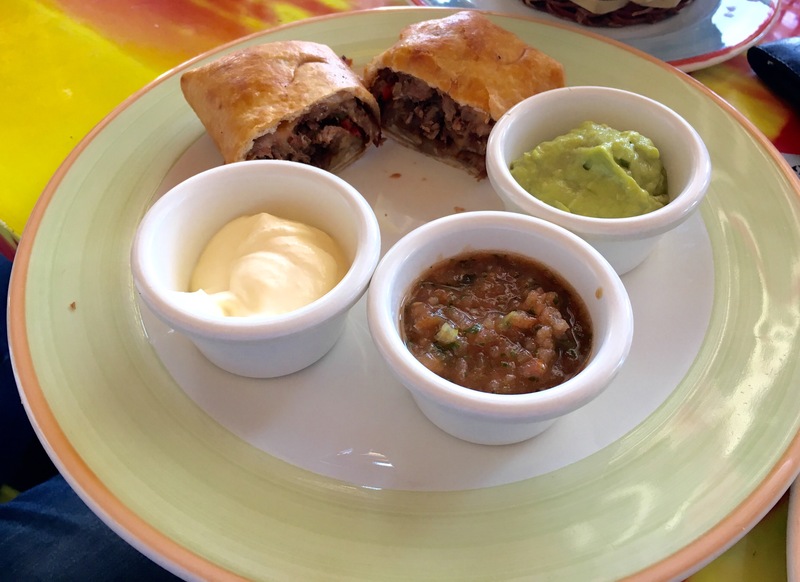 The chimichanga was accompanied by sour cream, salsa and guacamole that added creaminess and spiciness. Beef and cheese chimichanga. As recommended by Deadpool. Next were the 4 chili poppers, accompanied with a sweet chili sauce. I’m not a fan of chili poppers, as I can’t handle the spiciness. But I always order them. 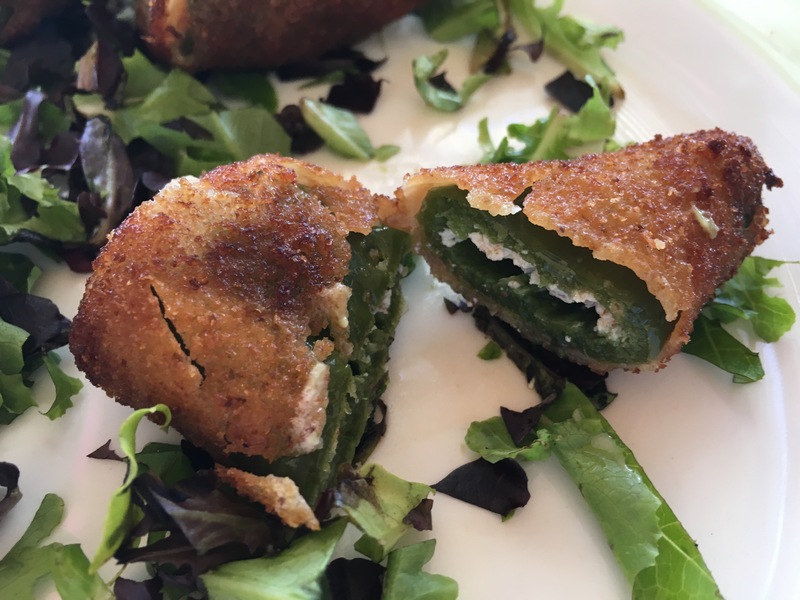 Pablo’s poppers were spicy jalapenos stuffed with cheese and deep fried. They were definitely spicy but the batter fell off if you cut the popper, making me chase the batter around my plate. Also, a lot of water seeped out of each popper when cut. I’m not entirely sure why. And the sweet chili sauce was neither sweet or spicy. A bit disappointing. Inside of the chili poppers. Ordering with our eyes, which were bigger than our stomachs, we ordered mains: a beef taco basket; and a beef mince and cheese burrito. The beef taco basket was delicious. The dish consisted of beef mince, plenty of cheddar cheese and refried beans. The dish was served with 3 flour tortillas, sour cream, guacamole, and salsa. Beef taco basket. Look at all that cheese! The beef mince and cheese burrito was tasty but not as delicious as the beef taco basket. The refried beans added more flavour to the basket. But the mince was cooked well. Again, I wished I had more cheese. Beef mince and cheese burrito. More cheese was definitely needed. For dessert I really wanted churros but my stomach was ready to explode. So we left it at that and made our long journey back home to Pretoria. 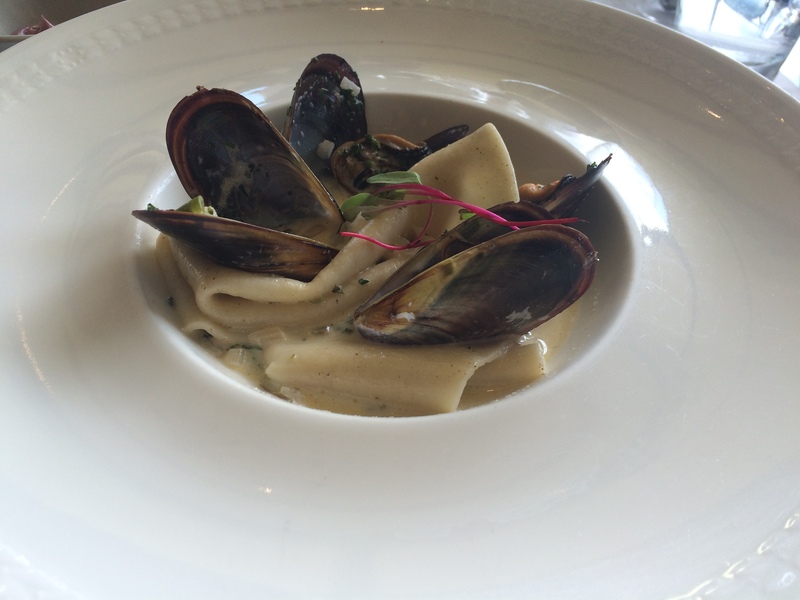 Overall, I found the food to be delicious but some components of the dishes were lacking something. In terms of service, Lee and I had great service. We were greeted with a friendly smile, our orders were taken quickly and our food arrived promptly. However, friends did have a bit of a challenge. Some orders took long and some orders were never taken. 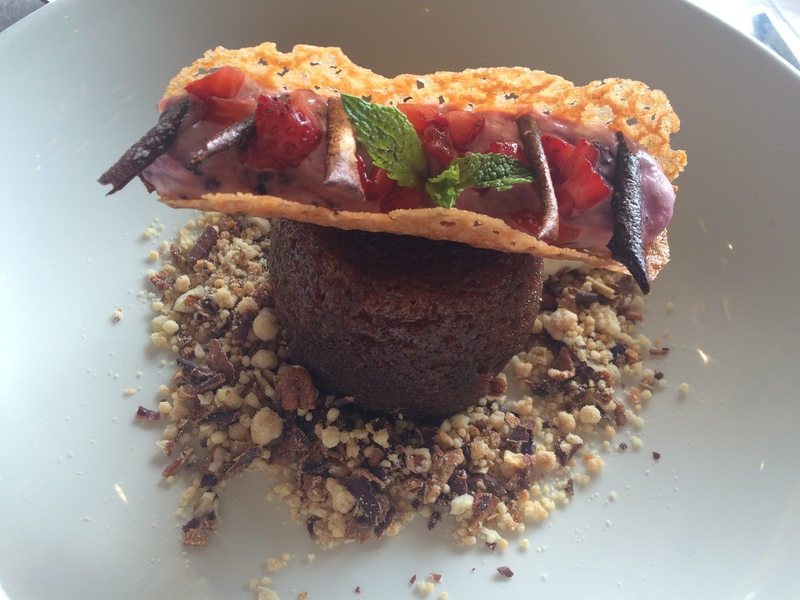 To me, the most important service aspect that lacked was our waiter checking on us to see if we were enjoying our food or if we needed something. But we were a large group and staff was limited, so I can understand why this did not happen. Given that this was a Mexican restaurant, I have to mention the decor and ambiance. Pablo’s Mexican Cantina got it right. I felt transported away to Mexico. The artwork was brilliant and there was Day of the Dead skulls all over. So I was in heaven. Based on all the above, I give Pablo’s Mexican Cantina 2 and a half cupcakes. 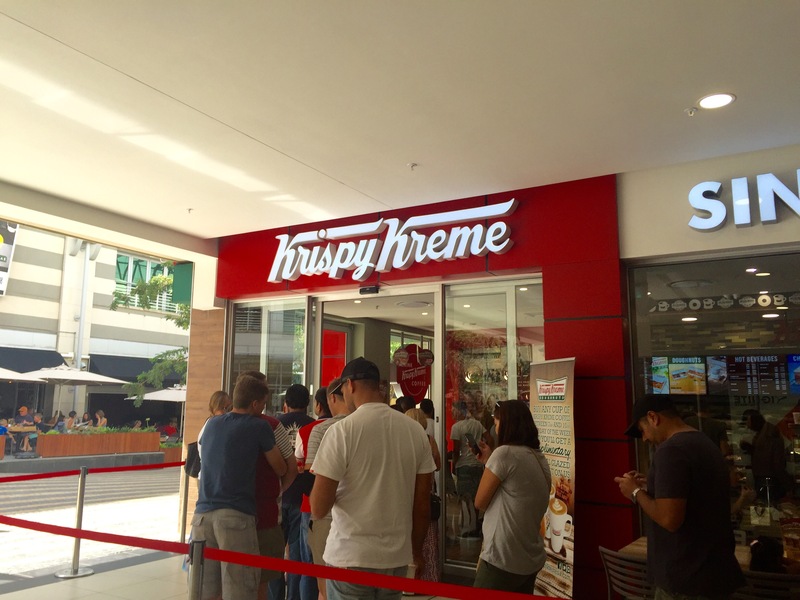 Krispy Kreme opened its first store in Rosebank, Joburg, a few months ago. I’ve been dying to go for a while and, finally, I made the opportunity arise. Krispy Kreme is located in Rosebank Mall’s food court. It’s quite a popular place as we queued for about 10 minutes. And then once you get to the counter, there’s an array of doughnuts waiting for you. 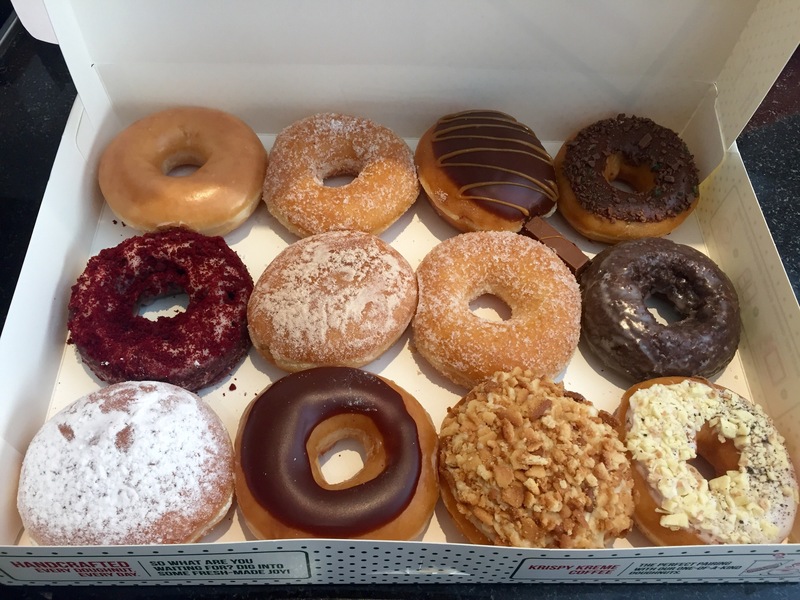 I ordered with my stomach and decided to get a dozen doughnuts: Red Velvet Cake, Kit Kat, Peppermint Crisp, Sugar-coated, The Original Glazed, Cookies and Kreme, Powdered Strawberry Filled, Cinnamon Apple, Glazed Chocolate Cake, and Caramel Kreme Crunch. I definitely psyched myself out over the doughnuts and I was not disappointed. Some of the doughnuts were a bit rich, but others, like the Peppermint Crisp, Powdered Strawberry filled and Cinnamon Apple were delicious! I would definitely go back! But maybe this time I’d exercise some restraint 😂.